inMemory+ has the capability to synchronize data with a wide variety of data source like SQL Server, XML, MS Access, CSV, etc. The synchronization processes can also be scheduled to run on different intervals. inMemory+ provides the functionality to create manual and automatic jobs. Furthermore, you can also see a list of all the jobs and can manipulate them as well. inMemory+ provides the following data sources to import and export data. 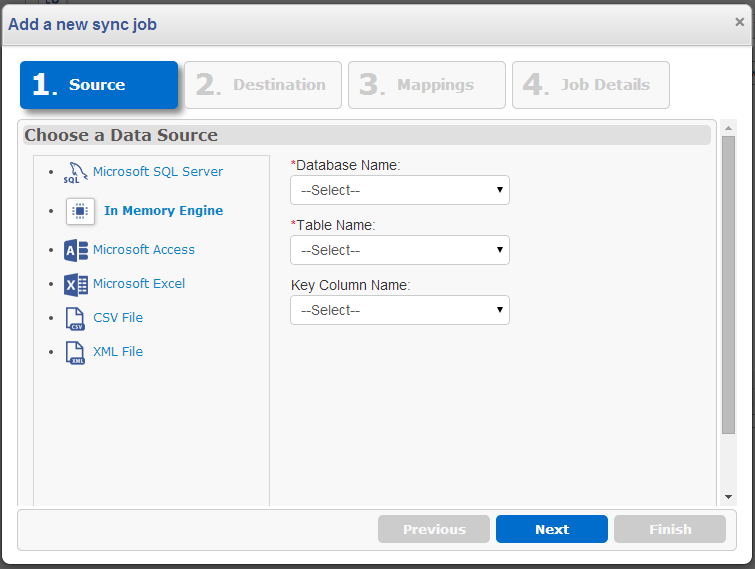 Data synchronization jobs can easily be added through the user interface. A user provides the information, such as the Source data connection from where data will be imported. Then the target data Destination where data should be placed is selected, using the (schema) mappings. The last step is where the user can set a different configuration and then save the job. 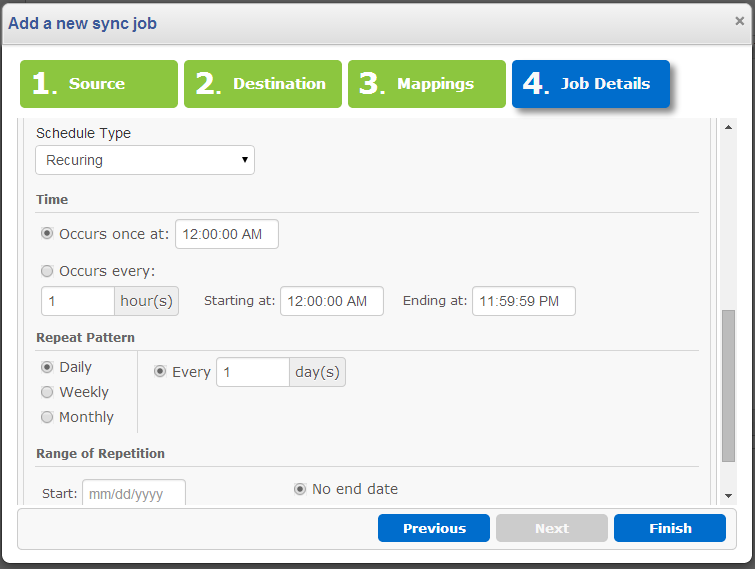 To import and export data, synchronizer jobs can be scheduled on different time intervals. There are different options available for automatic jobs, for example, with the option occur once selected a job will run only once on the defined interval. When recurring option is selected the user can select different options like daily, weekly, monthly, etc.